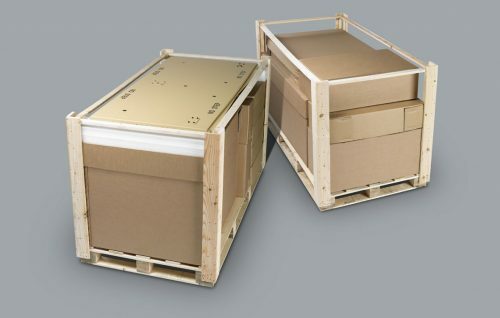 All eventualities are covered, from basic commercial level packs – where items are to be shipped for immediate use – to situations where harsh transportation conditions and long-term storage are envisaged. The level of packaging required is determined by the MoD and specified on the tender and contract documents. Where higher levels of packaging are involved, each material has its own specification, which stipulates the properties and test certification required. Defence standards also cover the design and construction of the container, bearing in mind the size and weight of the item to be shipped. Dependent upon the nature of the goods, and the storage and handling requirements, a Services Packaging Instruction Sheet may be allocated to the contract. This contains full instructions about how the package should be constructed and marked to ensure the manufacturer consistently meet the required standard and quality. As an accredited MPAS (ex DR14) supplier, Macfarlane Packaging is authorised to formulate and sign off the SPIS documents on behalf of the MoD, which can be accredited to its comprehensive design, testing facilities and specially trained staff. Currently, our representatives serve on the MoD Review committee, and take part in assessment of the recently-introduced MoD packaging training programme.